Year of 2019: We love the way you love us, Cancer. But in 2019, it's time to put our needs on the back burner for a while and focus on your own. After all, with the North Node in your sign, self-care can be a path to spiritual growthâespecially around the Cancer new moon and total solar eclipse on July 2. Tune in to your body and your emotions, ask what they need to feel safe and secureâ¦ then go out and get it for yourself. Just be conscious of how you go about meeting your needsâsome approaches work better than others. From June 14-19, a Mercury-Mars conjunction in your sign opposes retrograde Saturn and Pluto in Capricorn, making direct communication an absolute must. You may think you're getting your point across, but subtle hints are likely to fly under the radarâor worse, be read as passive-aggressive. Don't side-step the issue, Cancer; if you've got something to say, come out and say it! Just be prepared to repeat yourself when retrograde Mercury revisits your sign (July 19-August 11). Communication breakthroughs are finally possible at the Virgo new moon on August 30, when five planets in Virgo link up with Saturn and Pluto in Capricorn and Uranus in Taurus to form a Grand Earth Trine. This helps you choose precisely the right words, and be more realistic and pragmaticâless emotional or sentimentalâabout social interactions. Clearing away mental and emotional clutter from the past can help you see a new way forward in relationships of all kinds. The Virgo new moon also activates one of the year's most significant aspects: the Jupiter-Neptune square, which will be exact for the third and final time on September 21. This challenges you to accept once and for all that nobody's perfectâ¦ not even you. Ultimately, Cancer, this year is about learning to love yourself (and others) as you are, not as you think you should beâand that little shift can make a huge difference to your overall health and happiness. Year of 2019: Love is no joke, Cancer. In fact, with the South Node, Saturn, and Pluto in your opposite sign for all of 2019, it's serious business! These heavy hitters in Capricorn are driving home the importance of personal responsibility and accountability in relationships. When things go wrong, it may feel safer to project the blame onto your partnerâ¦ but the situation is rarely that simple. Avoiding your share of the responsibility just keeps you stuck repeating the same mistakes, playing out the same unconscious patterns. And who's got time for that? With two solar eclipses in Capricorn this year (January 5 and December 25), you're ready to hit the reset button. But before you can move forward in your present relationship, or attract a new one into your life, you'll need to check your baggage. If unresolved issues from past relationships are weighing you down, the July 16 lunar eclipse offers opportunities for emotional release, closure, and healing. By the fall, Cancer, you'll be in a better space to build the healthy, happy relationship you deserve. But even happy couples fight sometimes, so if conflicts do ariseâas they're likely to do between late September and early November, when planets in Libra square Saturn and Plutoâmake sure to resolve them with mutual love and respect. 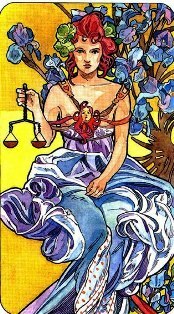 Fortunately, these Libra planets also sextile Jupiter in Sagittarius. Keep an open mind, a sense of humor, and an optimistic attitude about what's possible! After all, exciting new connections are a definite possibility later in the year, with Mercury spending over two months in Scorpio (October 3-December 9, retrograde October 31-November 20). Mercury and the other personal planets in Scorpio (Venus, the sun, and Mars) will oppose Uranus in Taurus and trine Neptune in Pisces, opening you up to the idea of meeting new people in unusual or unexpected ways. Download a new dating app, let a friend hook you up, or just get out there and explore the world on your own. One thing's for sure, Cancer: if you want to find love in 2019, you'll have to come out of your shell! Year of 2019: Do what you love, Cancer, and they say you'll never work a day in your life. This rings true for you in 2019âwith Jupiter in Sagittarius, you're definitely mixing business with pleasure! True, your workload could also get a little heavier this year. But a corresponding increase in job satisfaction makes it well worth the effort. Still, with three Jupiter-Neptune squares this year (January 13, June 16, and September 21), try not to be too idealistic about your job. After all, it may be a labor of love, but you're also in it for the money! Two Venus-Jupiter conjunctions (January 22 and November 24) offer rewards, as long as you have confidence in your own worth. A lunar eclipse in Leo on January 21 helps you release false modesty, and find the courage to ask for what you truly deserve. 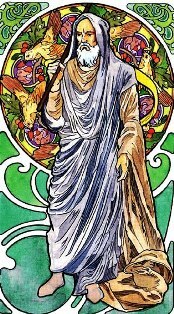 Mercury's two forays into Leo (June 26-July 19 and August 11-29) should provide plenty of opportunities. 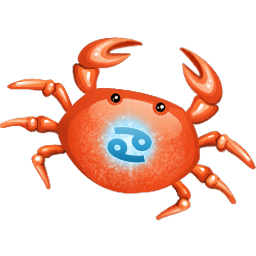 But choose your moment carefully, Cancerâand use Mercury's retrograde from July 7-31 to review your accomplishments and build a convincing case. 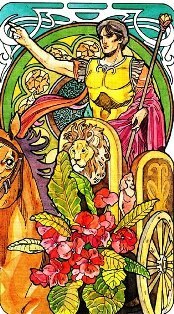 By the twenty-fifth of July, when Mars in Leo trines Jupiter in Sagittarius, you may be rewarded for your initiative! Your newfound role as âoffice rebelâ comes courtesy of Uranus, who's spent the last seven years shaking things up in Aries (your tenth house of career). 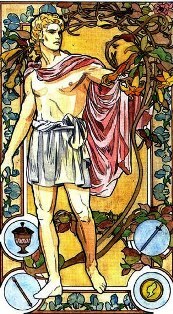 And from New Year's Eve through February 12, Mars is there to help him power through any unfinished business. Their conjunction in the last degree of Aries blasts you off into an exciting new phase of activism and innovation, which begins when Uranus enters Taurus on March 6. Reach out to other like-minded people in your field this year, and take the first steps toward forming new networks and support systems. You'll need them to help you navigate the changes to come over the next seven years! 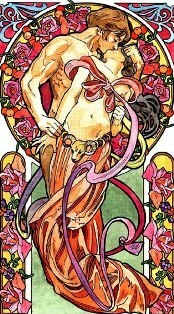 Choose Another Zodiac Sign ~ Choose another zodiac sign below to view its yearly horoscope forecast! © Copyright 2014 - 2019 Dailylovetarot.com. All rights reserved.